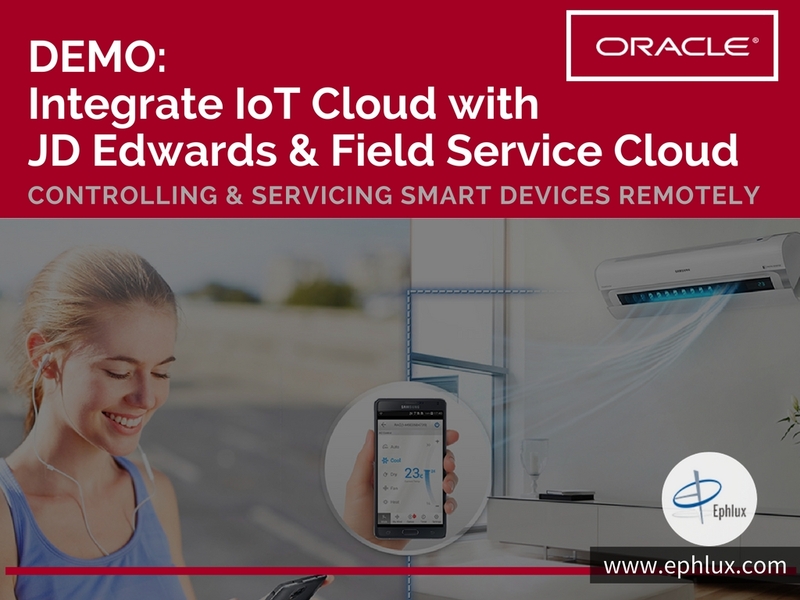 In the demo, we integrate Oracle IoT Cloud Service with JD Edwards E1 and Field Service Cloud to enable two-way communication between customer devices and JD Edwards for controlling and servicing IoT-enabled devices remotely. Oracle IoT Cloud Service allows you to gain new data-driven insights and drive actions from IoT by connecting, analysing and integrating device data into your business processes and applications, enabling your business to deliver innovative new services faster and with less risk. Why JD Edwards Enterprise One Applications? JD Edwards E1 is an integrated application suite of comprehensive enterprise resource planning software that combines business value, standards-based technology and deep industry experience into a business solution. The data fetched from the Oracle IoT Cloud Service is made compatible to be used by JD Edwards E1 application by an additional middle layer of JD Edwards IoT Orchestrator. How the three gel up to provide remote controlling and servicing? The SmartAC device, once added to the Oracle IoT Cloud in the Device Model tab, sends over messages (aka data of the device as attributes) to the IoT Cloud Service. This data includes important parameters like room temperature, the temperature of the device itself, coil temperature and amperes for the current consumption of the device in real time. The parameters from the Oracle IoT Cloud Service are made compatible to be used by JD Edwards application by using the JD Edwards IoT Orchestrator. After creating custom object, the input parameters there store the data coming from IoT Cloud which are then send over to the JD Edwards EnterpriseOne application for creating work order. A work order is created in JD Edwards EnterpriseOne application upon receiving initial data of the device from the Orchestrator. Upon searching that work order by inputting equipment details, the control and logs window opens up that enables the agent to view the device’s monitored parameters, turn it ON or OFF and even change its temperature remotely, instantly. Levelling the playing field for IoT – Entering Oracle Field Service Cloud! The work order enlisting device’s details, along with its customer’s information and repair details, is then exported to the Oracle Field Service Cloud directly from JD Edwards E1 application. 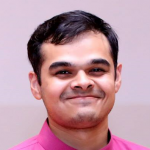 This, in return, creates an Activity onto the Field Service Cloud which can then be ready to be assigned to an available field service officer. Upon simply dragging-and-dropping this Activity onto one of the field service officers in the list, this Activity then gets assigned to that respective officer who is duly notified of his/her errand instantaneously.